BSJ | The Olympics: Was it worth it? The Olympics: Was it worth it? During the summer of 2012, amongst all the hate, violence and negativity in the world there were two weeks where people came together to take part in the most prestigious multi-sport event in history, the Olympic Games, held in London. Now that the Olympics have passed and the incredible year of 2012 has been and gone, we are able to make a judgement- were the games a failure or a success? Estimates predict the total spend of the games were a total of £10.8billion- what did we get for our money? Swimming, cycling, and athletics venues were erected around London and will help the city attract international events for these disciplines, something we have been unable to do in the past. Wimbledon, the O2 Arena and Wembley were utilised by the Games as part of a Sustainability and Environment Policy from the London Assembly Environment Committee and a construction plan that past host cities didn’t capitalise upon. With London well equipped with world-class sports facilities, an economic return of at least £50 million a year is estimated. Boris Johnson described them as “a ringing endorsement of our 2012 legacy”. 6 of the 8 permanent venues have secured contracts for the long term. Alongside these venues, sports facilities and playing fields are now available for use by sports clubs and the local community. Had we not won the bid for the Olympics, we would still be paying in the region of £200-400 million a year for social security, policing, health, environmental management of the degenerated inner city areas and to retain the Olympic site as a ‘brown field’ area, an important point to be noted. Instead, Stratford has modern housing, an upgraded transport system and attracts new businesses that will provide revenue in the future, a net gain with estimates of at least £300 million a year. Pre- Olympics, the Olympics Minister Tessa Jowell stressed the importance of the renovation work across transport networks, “Reliable and effective transport will be crucial to the success of London 2012 and we are determined to get it right”. The Underground was already an extensive network of rail services, but a huge £1 billion has been invested annually since 2006 for its massive refurbishment programme that included track upgrading and the refurbishment of all stations. The Jubilee Line was a key project in the upgrade increasing its capacity by 46% and is the link between many of the central venues. Complete re-signalling of the Northern and Jubilee Lines increased capacity and reliability costing a total of £600 million. Stratford Regional, as it has been renamed, will have the capacity to have a train arriving every 15 seconds by a total of 12 public transport lines. One of which, the ‘Olympic Javelin’ connects Stratford to St Pancras with a service taking only 7 minutes and a capacity of up to 25,000 people per hour each way. Of course there were negatives, local disruption, transport delays, and excessive media coverage before and during the Games that would have caused tempers to flair. But with the upheaval aside, research predicts the Olympics has overall positive effect on the UK and London economies in the long run. Gross Domestic Product is set to increase by £1,936 million in the 2005-2016 period and an additional 8,164 full time jobs were created. 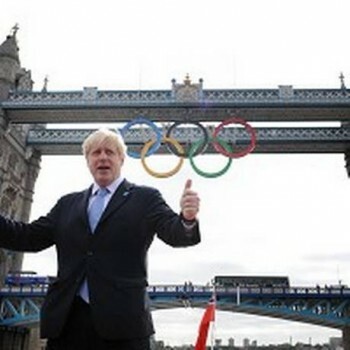 Last year, prior to the Olympics, Andy Hunt, the head of the British Olympic Committee (BOA), analysed the elite events for Olympic sports from 2011.From this data he was able to predict that Britain would come out sixth with 59 medals. Our athletes added 6 extra medals to the already great prediction, accomplishing a record haul of 65 medals-29 Gold, 17 Silver and 19 Bronze. Therefore, we are able to look back to see the considerable legacy that has been created by our incredible athletes and see why London 2012 has made us all proud to be British.